The structure indicated is the quadratus femoris muscle. The deep muscles of the thigh are much smaller than the superficial group of muscles and generally serve to laterally rotate the femur at the hip joint. The quadratus femoris muscle is the most inferiorly located muscle in the deep gluteal region of muscles and is named according to its approximately rectangular shape. 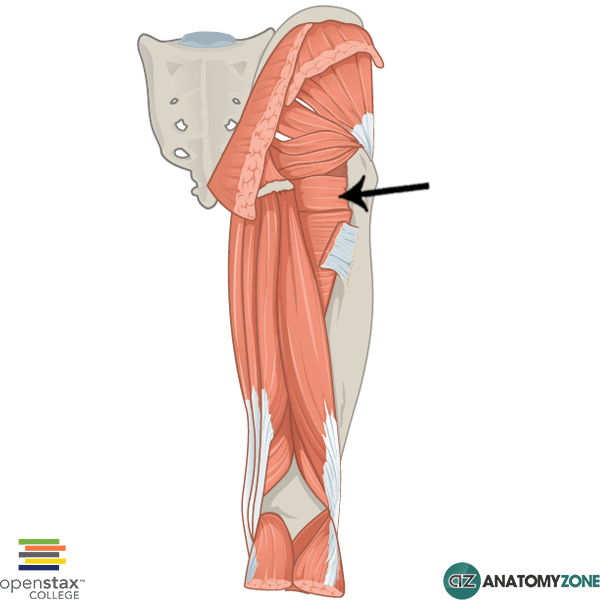 Learn more about the anatomy of the thigh and gluteal muscles in this tutorial.